Fortunately for us and the people downstream (along the Ohio and Mississippi Rivers) we have had some days without rain. 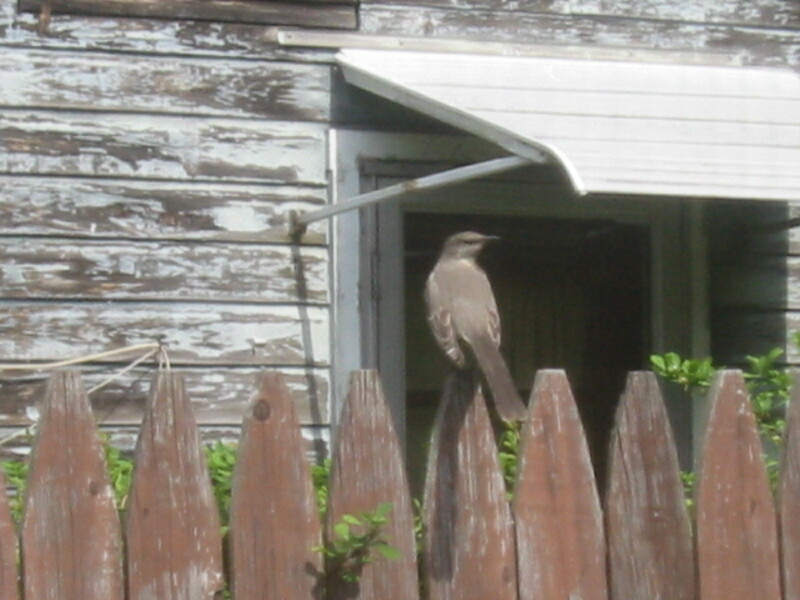 This avian visitor posed on the side yard fence last Friday. The kitchen window functions well as a blind, just need to remember to get the camera lens close to the glass to avoid the pattern of the screen from showing. The new scanner was delivered on Friday too. It works well and I have been especially pleased with the scans of older 35 mm color negatives. The scans are sharper than the prints, and even though the prints were kept in the dark in a closed box, the color from the scanned film is better too. Most of the color negatives I have are from the 1950s vintage Kodak Pony 135 Camera Model C (complete with instruction book and detachable macro lens) that I inherited from my great aunt Alice. 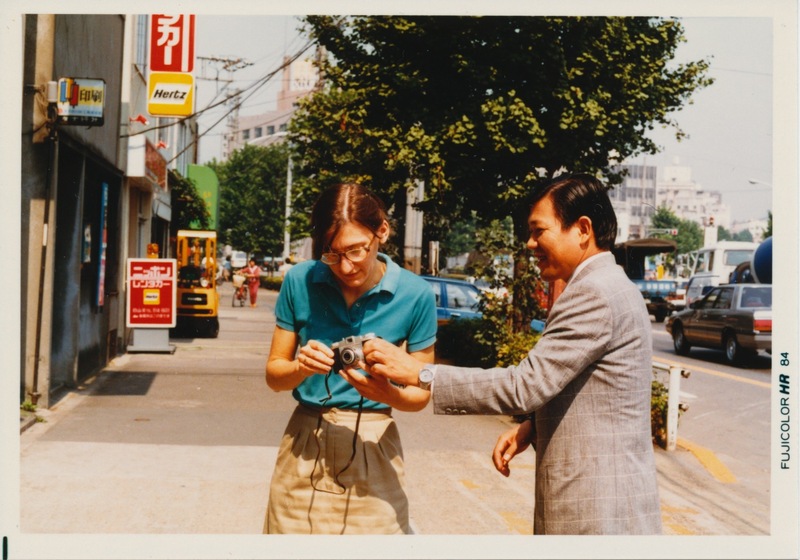 One of my Abe Trading Company hosts volunteered to take a photo with my camera as I was leaving Tokyo in the mid-1980s. A non-automatic camera is challenging, but you do learn how to take pictures. The alpine strawberries have been blooming for weeks. At first the flower centers were blackened when there was frost. Knock on wood, it got close to freezing here last Thursday (April 5). Only a few more weeks until it should be safe to put annuals and veggies in the ground. 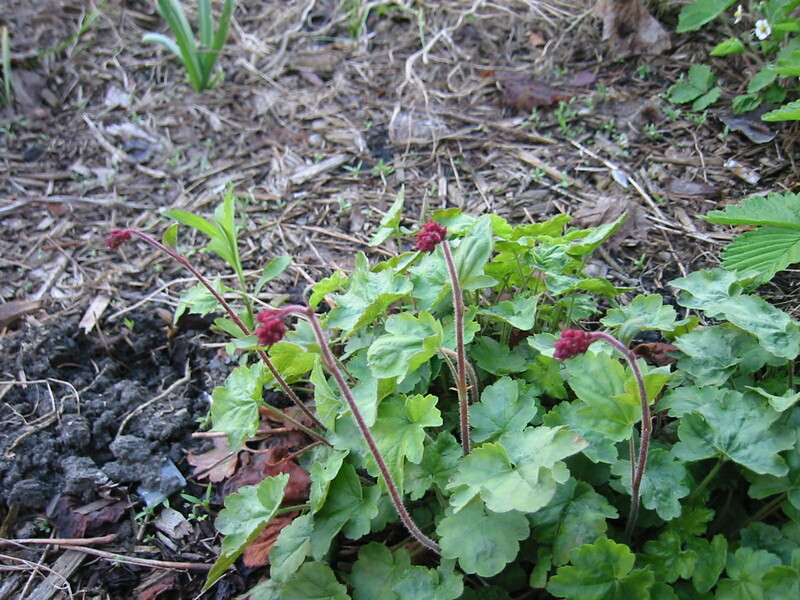 Although the predominant color in the yard now is blue, the flower spikes of the Coral Bells are red even though they have not yet opened. 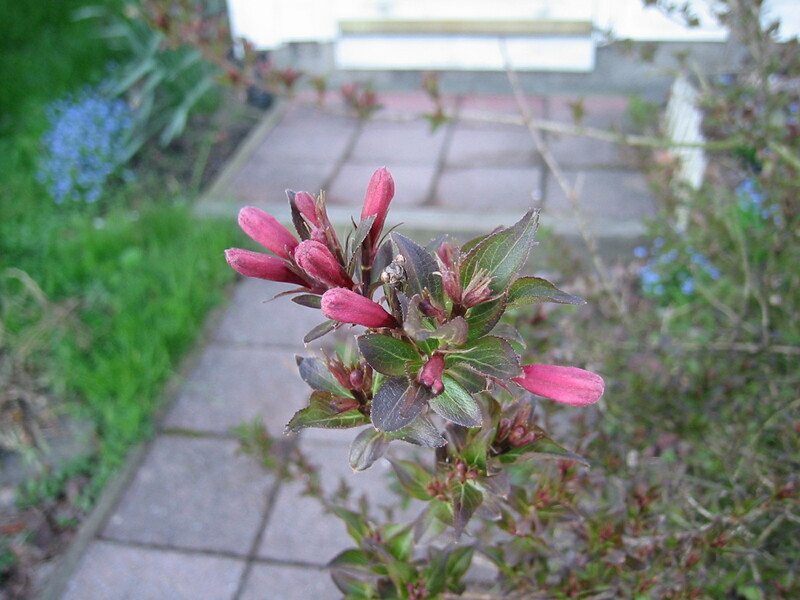 Finally, the Wiegela (honeysuckle) is showing its pink, with sunshine today may see some blossoms open. This entry was posted in Gardening, General, Photos, Technical and tagged camera, flowers, scanner, spring. Bookmark the permalink. 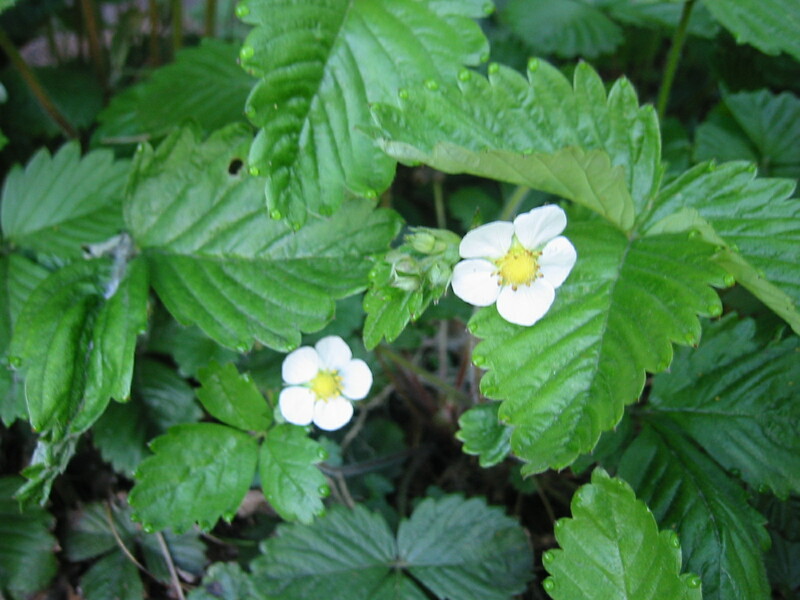 I am starting to see green strawberry fruit; my old garden in Delaware has lots of flowering strawberry plants and a few tiny fruit, and I was walking around Philadelphia and saw some considerably larger fruit in some tiny city gardens.